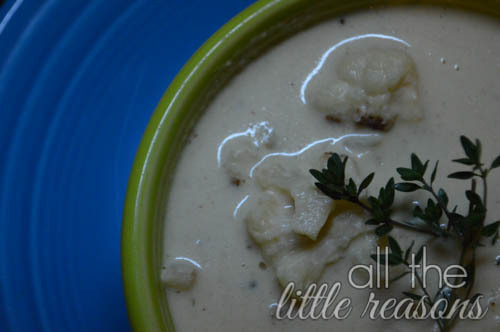 I found a recipe on Pinterest for Roasted Cauliflower Soup, but I love this Trim Healthy Mama broccoli cheese soup we often make. 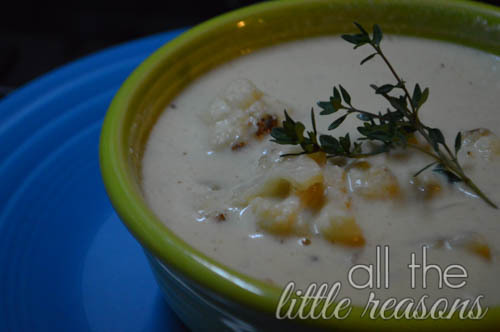 So I merged the two and discovered the most amazing, creamy soup I’ve had in a long time!! 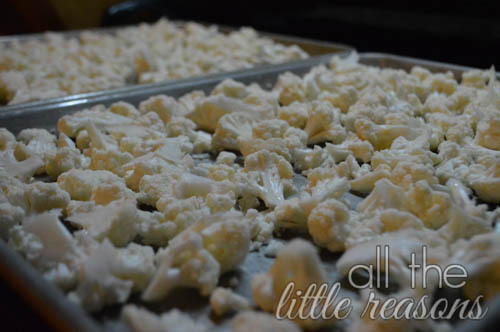 Trim 1 large head of cauliflower into florets and toss with a bit of olive oil and salt. Roast at 425 for about 35-40 minutes, stirring occasionally. 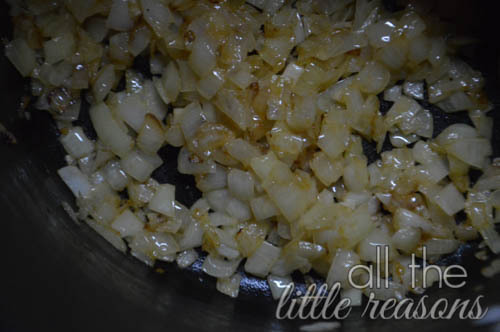 Meanwhile, sauté one large onion or two small onions. 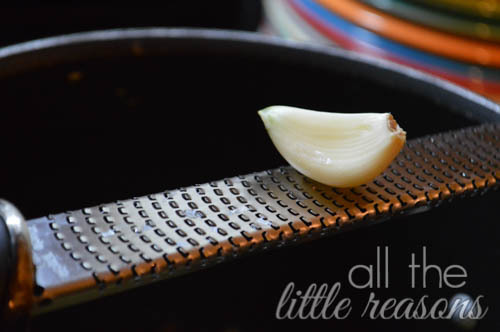 When they are translucent, add 2 cloves garlic, minced or micro planed. ** Cook for another minute or so. Add 1 1/2 packages of cream cheese and 6c. chicken stock. 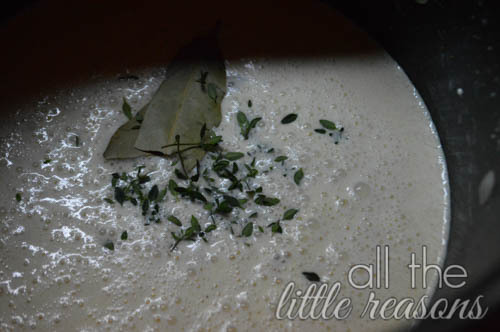 When it’s all melted and whisked together, add the leaves from 3 sprigs of thyme and 2 bay leaves. Let it cook on low until cauliflower is done. When cauliflower is finished, put half of it into the blender with a little of the broth (make sure you don’t put the bay leaf in there). 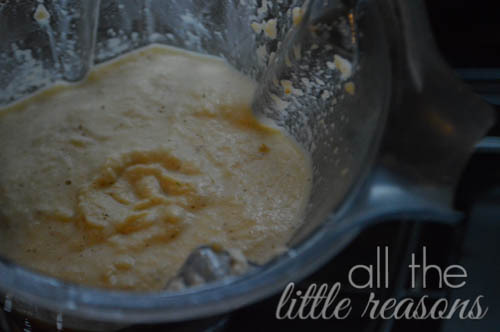 Blend it until smooth, being super careful because it’s really hot. Fish out the bay leaves and discard. 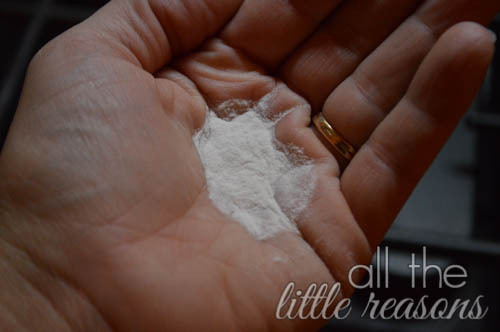 Add about 1/4c. 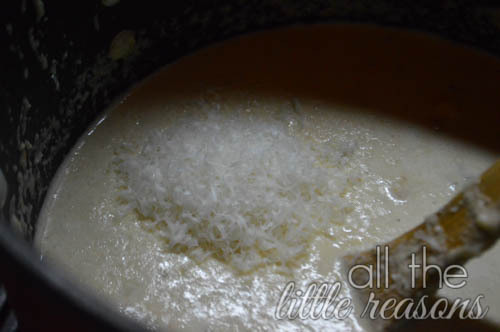 of freshly grated parmesan. Done! Our family of 5 ate the entire pot! Next time I think I will double it! 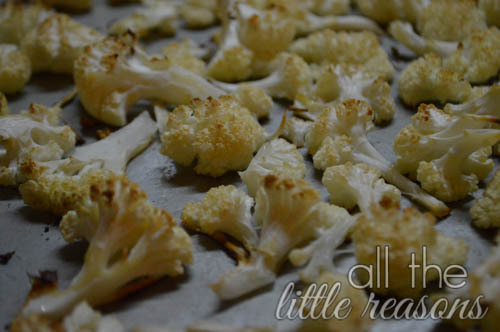 Toss cauliflower florets with a drizzle of olive oil and salt. Bake at 400 degrees for 35-40 minutes, stirring occasionally. Add 1 1/2 packages of cream cheese (12oz) and 6 cups chicken stock and whisk until melted and fully incorporated. Add 2 bay leaves and the leaves from 3 sprigs of thyme and let simmer without boiling. 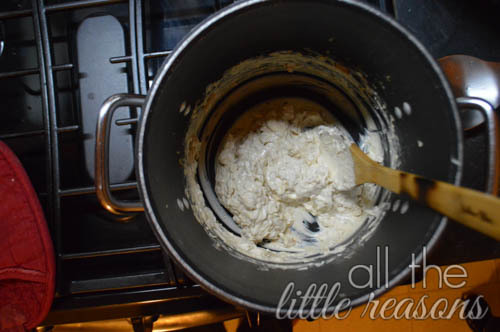 When the cauliflower is done, put half in a blender, along with a bit of the broth and puree until smooth. Add back to the soup, along with the rest of the cauliflower. 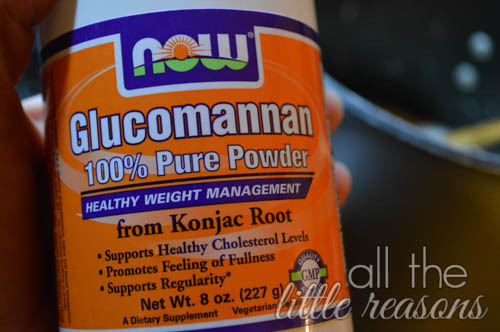 Add 1/4c. parmesan cheese. Fish out the bay leaves and serve!